WHO AM I? I've been a Ventura resident for twenty three years and a "Realtor" for nine. After living and working abroad in Southern France and Australia, my husband and I decided to settle and raise our three children in this beautiful coastal community. I bring a wealth of knowledge from a position I held in the International Aerospace Industry maintaining and overseeing the accounts and contracts for domestic and international airlines, Bell Helicopter and others. Prior to my Real Estate Career my husband and I developed, owned and operated a Cafe during a seven year period servicing the locals and maintaining solid customer relations. I have always guided my life and business relationships by "treating others as I would want to be treated". Although english is my first language, I am also fluent in french. WHAT CAN I DO FOR YOU? Whether you are looking to sell your Ventura County property or you are in the preliminary stages of a real estate search, let me help you by providing my professional and personal hands-on service and together we can achieve your goal. In today's challenging market, it is even more vital then ever that your home outshine the competition. I offer my clients "complimentary staging services" to allow them that opportunity. Having earned the Senior Real Estate Specialist designation, I am also able to provide you with housing options to determine what will best suit your financial needs whether it is for retirement, downsizing, combining households or a vacation home. 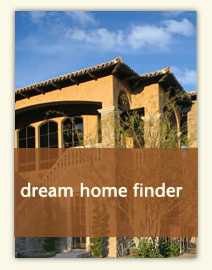 This web site features comprehensive community information for Ventura County areas and provides you with the tools that can help guide you in making the right buying or selling decision. You can browse exclusive homes for sale, search virtually all Ventura County area listings through my property search, calculate mortgage payments on your next home with my real estate mortgage calculator, access home buying and selling tips. 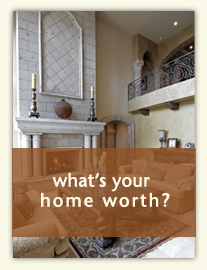 Furthermore, you can get a comparative market analysis on your property to determine the current value. If you are interested in learning about Ventura County schools, this site also offers thorough school information. Thanks again for visiting and be certain to contact me by email or phone for the best in professional real estate service.